CLOSEOUTS. 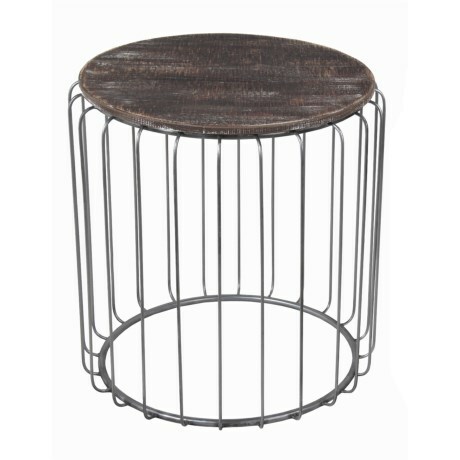 Show off your family photos and nicknacks with this Privilege accent table, featuring an open frame made of galvanized aluminum rod with a solid wood top. Available Colors: BROWN/SILVER.